The base LX trim starts off at $20,520 and includes the second row Magic Seat, rearview camera, Bluetooth, and 17-inch alloy wheels. Our Sport Trim tester starts at $22,220 and adds a seven-inch touchscreen with Android Auto and Apple CarPlay, Sport mode with paddle shifters, leather steering wheel and shift knob, roof rails, fog lights, two USB ports, a rear spoiler, and black underbody spoilers. The smallest Nissan crossover and the smallest Honda crossover are not the biggest sellers for each maker, but they're essential for the market - these are the vehicles bought by young drivers experiencing a brand for the first time, and empty-nesters, who have a little more money to invest in a reliable, practical car. Make small work out of some of the biggest adventures with the rear fold-down 60/40 Split 2nd-Row Magic Seat®. 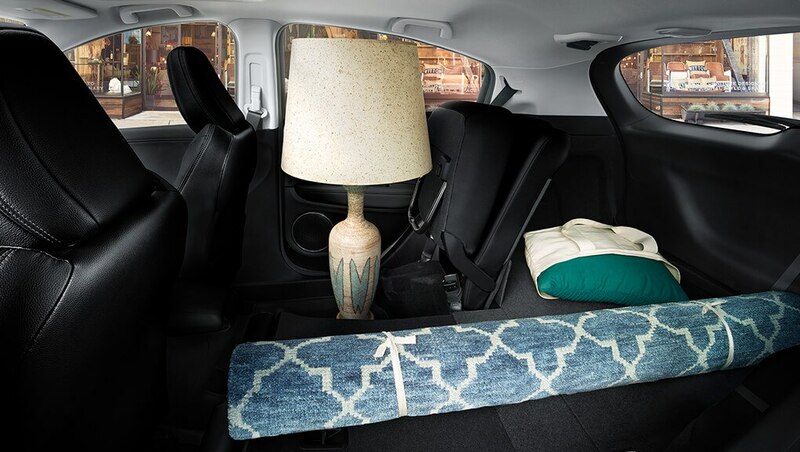 Enjoy up to 1,665 litrers of cargo space with the rear seats down, so you can bring it all while doing it all. In any condition, the HR-V is confident. The available real-time AWD™ with Intelligent Control System™* is engineered to give a solid ride by delivering an intuitive response when loss of traction is detected. The system automatically transfers torque to the wheels to help you focus on the road. 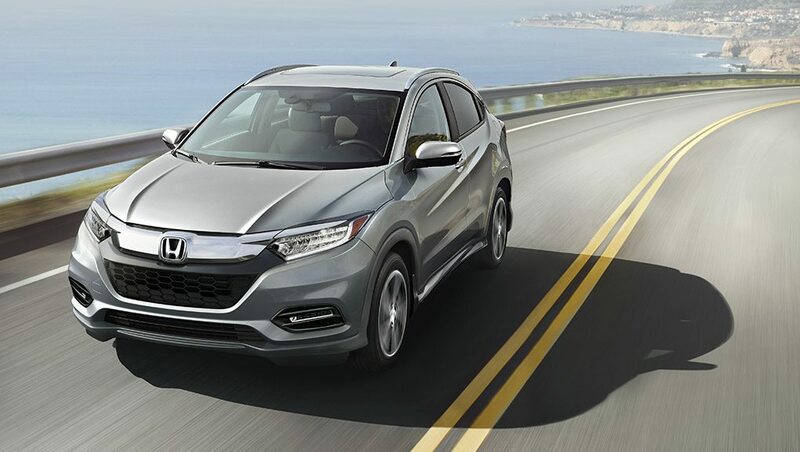 It's easy to drive smart with the Eco Assist™ system, standard on all HR-V trims. 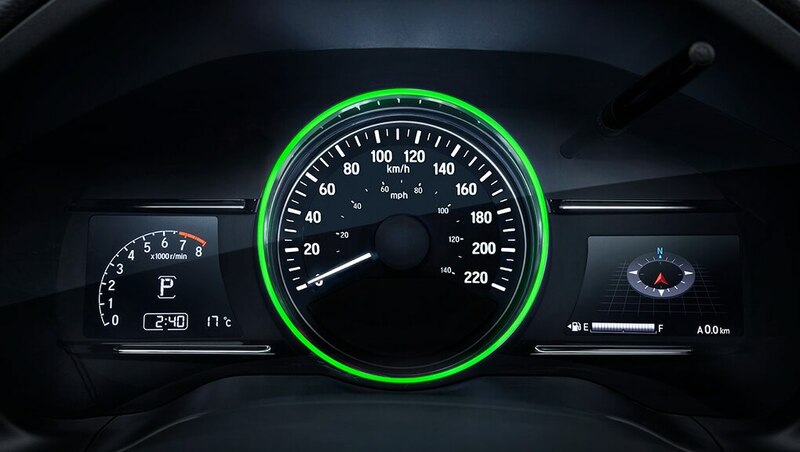 It coaches you to drive more efficiently by using coloured lights on either side of the speedometer to show your efficiency, so all you have to do is stay in the green to help get the most out of your tank. $34,568 x 84 Months @ 4.99% APR (estimated financing rate, cost of borrowing $6,410). $0 down payment.